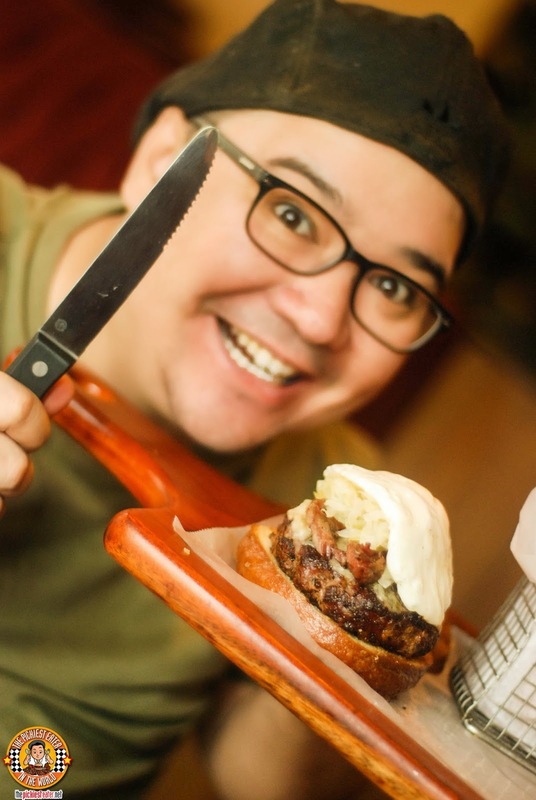 THE PICKIEST EATER IN THE WORLD: VILLAGE TAVERN'S CHAR-GRILLED WAGYU BURGERS! 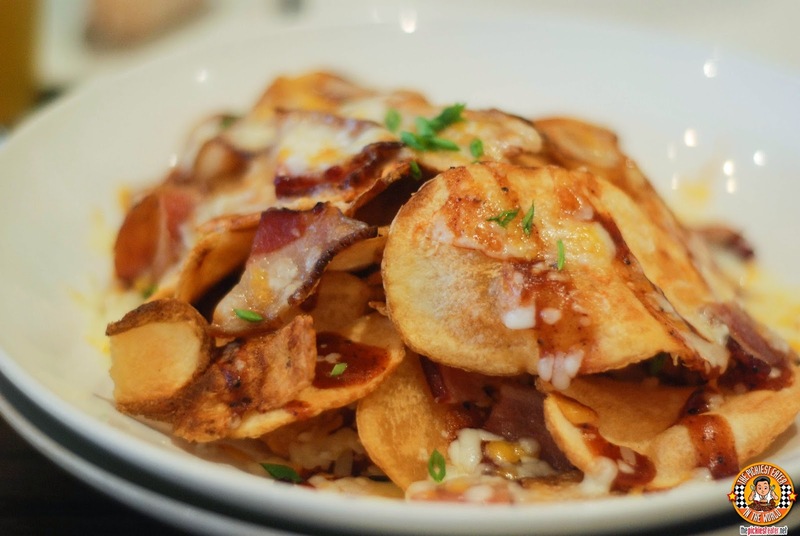 Before we plunged straight into the Burgers, Village Tavern gave us a taste of their Cowboy Chips. This is Hand Cut Potatoes, Deep fried to a golden crisp, then drizzled with Village Tavern's sweet BBQ Sauce, and sprinkled with melted Monterey Jack and Cheddar Cheese, and topped with.. Wait for it.... APPLE WOOD SMOKED BACON! I guarantee you, that you won't be able to eat just one. Then it was time to get down to business. For your information, all of the Burgers in Village Tavern's new lineup begins with a 1/3 lb Premium Wagyu Beef Patty, ensuring excellence in every bite. I recommend you ask for the burger be cooked to a medium, to make sure that the juiciness of the meat remains intact. 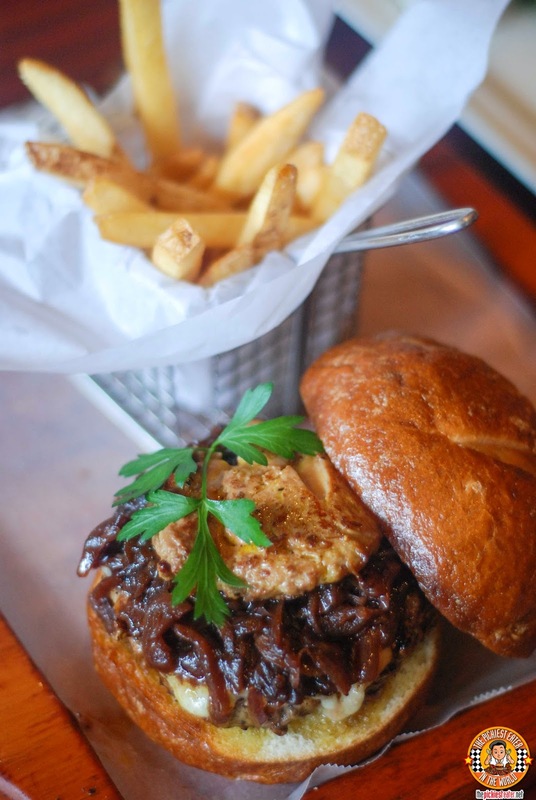 Though the Burger may be seen as the ultimate "Man" food, Village Tavern wanted to make sure that it still maintain an air of elegance in its burger lineup, by creating the Foie Gras Burger (P890). 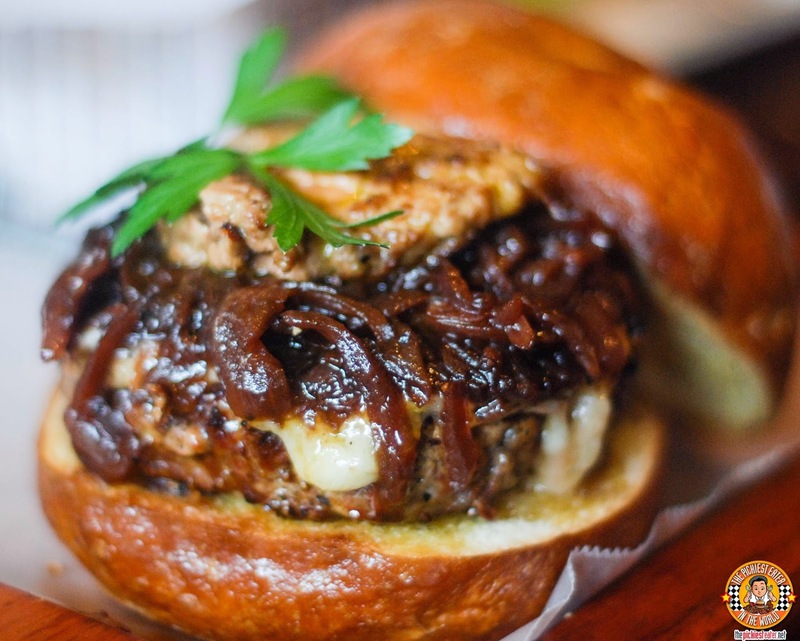 The Burger patty is enveloped in Gruyere cheese, with a chunk of perfectly seared foie gras perched on top of a cushion of red-wine-braised onions. The sharpness of the Gruyere Cheese is the perfect counter to the richness of the Foie, whilst the red wine braised onions helps enhance the natural flavor of the Wagyu Beef. Really quite amazing. Because of its spicy nature, the Tequila Burger (P650) was the Burger that appealed to me least. 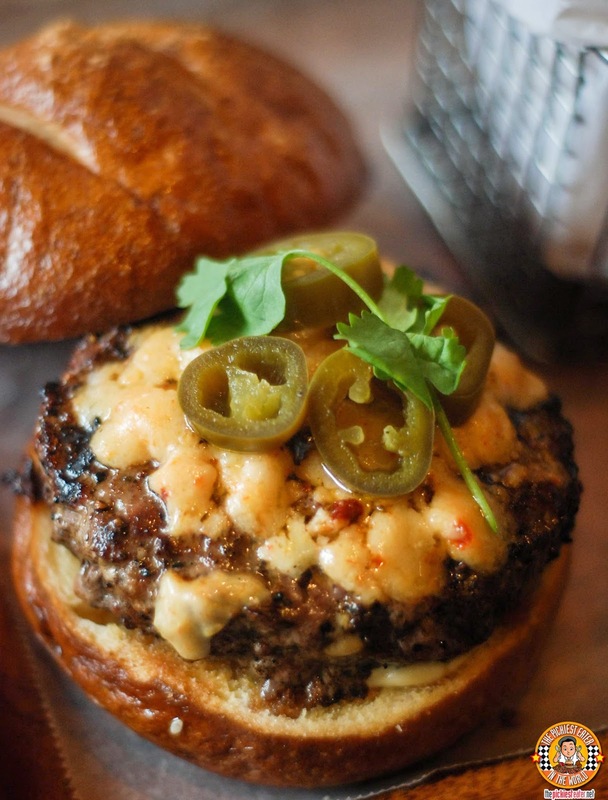 Spread over the Wagyu Burger Patty is a cheddar cheese, infused with spicy HabaÑero Cheese, and topped off with sliced JalapeÑos. The bottom bun is slathered in a Tequila Mayonnaise for an added dimension of Flavor. Unfortunately, my taste buds couldn't really handle the heat, so it overwhelmed the other flavors, scorching my tongue in the process. My other friends that tried it liked it though.. I'm a weakling when it comes to Spicy food hehe. With the Reuben being one of my favorite sandwiches, It was a no-brainer that my favorite among the lot, was the Reuben Burger (P595). Visually, it was absolutely stunning. And the great thing about it, was that it tasted even better than how it looked. 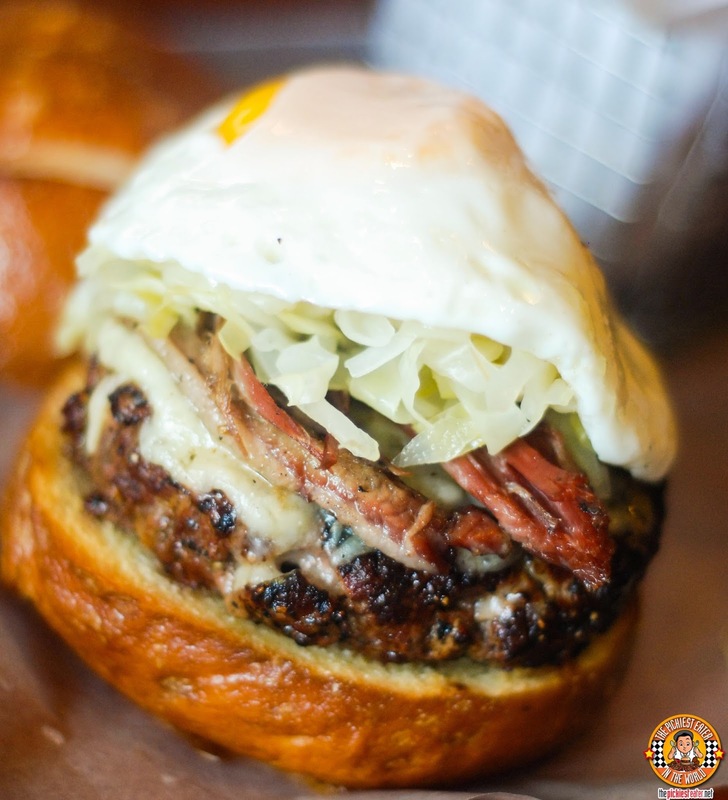 The Thick Wagyu Beef Patty serves as a bed to a slice of Gruyere Cheese, and Village Tavern's home made Corned Beef Brisket, Pickled Cabbage Slaw, and topped with a glorious Sunny Side up egg. The double whammy of meat- The Wagyu Patty and The Corned Beef Brisket- makes this quite a heavy meal. 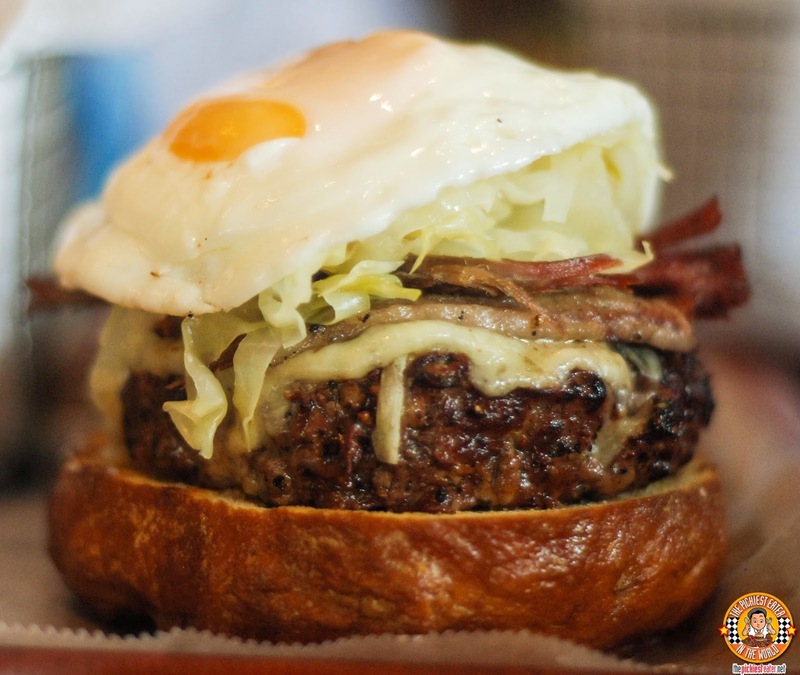 The acid on the slaw adds a new element of flavor that blended well with the meat, with the creaminess of the egg, especially when the yolk is allowed to run freely around the burger, was efficient in balancing it out. 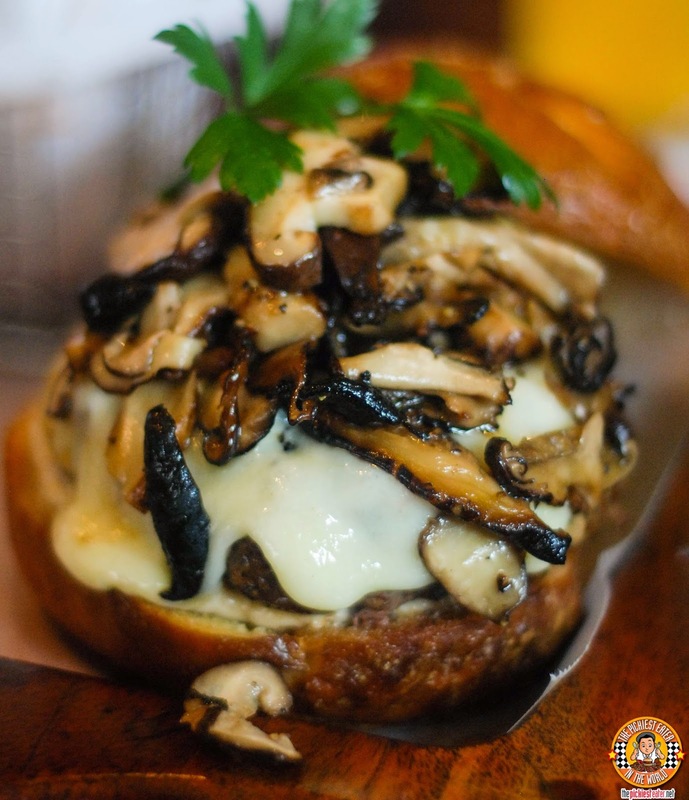 The combination of these flavors worked harmoniously with each other, creating a wonderful burger experience. Being a burger lover, I am extremely excited with the lineup of burgers that the talented Chef Josh Boutwood has conceptualized for us. I reiterate that I believe that the burgers will be best enjoyed cooked at a medium temperature. In addition, the Pretzel bun is delicious, but also quite a bit heavy. You might want to consider eating leaving the top bun off. You could easily just tear into it if you feel the burger isn't filling enough.